In the year 1892, Mr. Demaree wrote to the American Bee Journal setting out his system of swarm control when the object of the bee-keeper was honey production. It is a system now widely practiced in this country and its popularity is due to its simplicity and its general success. However, if carried out as suggested by the originator, it is a dirty method of honey production for reasons explained later. It is, however, an excellent method of producing natural stores in brood sized combs, useful for helping out weak stocks and providing winter feed. First go through each comb of the stock and remove all Queen Cells in whatever state of development. Take out all combs with the exception of one having brood and place them in a clean prepared second brood-chamber, which is to be the upper storey. The brood-frame containing the Queen should be retained in the original brood-chamber. The number of brood-frames in the second chamber should be made up to ten in number and a division board fitted at one end. Likewise, the original brood-chamber should be filled up with brood-frames. More progress will, of course, be made if the added brood- frames have drawn out comb. Again, a division board should be fitted to this brood-chamber, and care should be taken to see that it is fitted at the same end as the one fitted in the second brood-chamber. Now place a Queen excluder over the first brood-chamber and over this place the second brood-chamber. In this way the Queen has a completely new brood-chamber in which to lay and continues laying at a rapid rate. Meanwhile, au the bees in the brood-combs above are hatching out rapidly and these young bees provide the Queen with a constant supply of nurse bees. All the cells in the upper storey will be vacated within twenty-one days of the operation being carried out. The hive will have an enormous population with a Queen laying rapidly. If there has been a honey flow most of the cells in the upper storey will have been filled with honey as soon as they aie vacated by the emerging bees. If the honey flow still continues the combs in the upper storey should be extracted and the operation repeated. Dr. Butler has discovered what he considers to be an improvement on this system. He always places a shallow super complete with combs between the two brood-chambers at the first operation. The advantages of this system are, first, that the Queen is never cramped for laying room and therefore one of the predisposing causes of swarming is removed; and secondly, that the system provides a large stock of bees for honey collection. The disadvantages are first, that unless the operation is repeated after 21 days there is every possibility of the hive being so crowded that swarming is merely postponed and the swarm may leave at the height of the honey flow. Secondly, the honey produced is regarded by some as “dirty honey.” It has been stored in cells where grubs have developed and left their excreta behind and nymphs into bees and they in their turn having left their outer skins behind. They say it is not honey which a clean bee-keeper would eat himself and therefore he should not sell it to the public. This particular objection may perhaps be negative when we are told by observers that during a good honey flow the field bees usually place the nectar they have collected in the first available cell in the brood-chamber often on top of an egg or even a young larva. Thirdly, there is one danger which is not always explained about this system—and that is that unless every care is taken to prevent Queen cells maturing in the upper storey after the transfer to it of brood, a Queen may hatch out which cannot get through the excluder which may result in either a swarm emerging after all or the virgin Queen becoming a drone layer, as she is unable to get out of the hive to mate Therefore it is essential that after two or three days the bee-keeper should go through the upper storey and cut out any Queen cells which may have been formed in the interim. This is most important and should be repeated after a period of seven days. There are those who think that if the Queen cells are cut out of the upper storey that the bees cannot place a young enough grub or egg in the upper storey. Some experience shows that bees will fetch eggs from the lower storey even 10 days later. This system is often used when the bee-keeper desires to increase his stocks, for in the upper storey the bees will often after the operation has been carried out make a large number of Queen cells. These can be made into nuclei which will be helped on rapidly by the large number of young bees which will shortly hatch out. Move the original Parent Colony hive with the brood, Bees Queen cell and queen about one metre to one side of it’s original location with the entrance facing the same direction. Prepare a new hive with frames of drawn comb or foundation, remove three frames leaving a space in the center (you will use these frames later) Then place the new empty spare hive now the Artificial swarm colony hive where the Parent Colony hive WAS. Check the Parent Colony hive ,take the marked frame with the Queen and brood in various stages, along with all the bees on it, ensure there are no queen cells and put it into the middle of the Artificial swarm colony hive , add one of the empty frames of fully-drawn foundation so that the queen has room to continue laying eggs immediately, rather than wait for the workers to draw out cells on the new foundation. Select an additional frame of brood in all stages of development and ample food stores and move this to the Artificial swarm colony hive, Remember this must NOT contain any more queen cells Remember the Artificial swarm colony hive is in the original place of the Parent Colony hive. So you are putting the old queen back in her previous location with food stores and combs of sealed brood and foraging /flying bees Ensure there are food reserves in the combs of the Parent Colony hive and it is never advisable to split existing brood with empty frames , close all the frames together and insert new frames removed from the Artificial swarm colony hive earlier at the outer edges to completely fill the brood box. Put the queen excluder, supers, crown board and roof back onto the Artificial swarm colony hive. This procedure has now produced an artificial swarm, giving you another colony and without the loss of honey production. The Parent Colony hive will behave as if a swarm has just departed as it is now Queenless with nursery bees, Queen cells and some foraging bees, but the forager /flying bees will return to the Artificial swarm colony hive hive thinking it’s the Parent Colony hive. The nursery bees in the Parent Colony hive will act as normal and raise the queen cells until one is hatched or selected. The Artificial swarm colony hive will behave as if it has just swarmed and set up a new colony, consisting of the existing queen, all the flying bees, and plenty of honey to start comb-building and brood-rearing straight away. Do not feed straight away, wait a couple of days. Feeding sugar syrup immediately could cause robbing. For brood promotion use a 50/50 mix. Wait …………for 7 days After exactly seven days, usually one day before the new virgin queen is due to emerge from her cell, we need to move the parent colony hive to a new location. Set of frames with drawn comb, but if not with frames with foundation sheets. 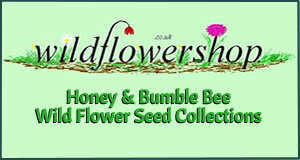 The beginner can start beekeeping with a stock, a swarm or a nucleus. A stock is a full or nearly full-sized colony already on combs with a laying queen, brood of all ages, and stores. It is an expensive way to start and a beginner lacks the experience to carry out the necessary swarm-control procedures, so it is not advisable. A swarm is a variable number of adult bees which have left a hive with a queen but without combs and brood. 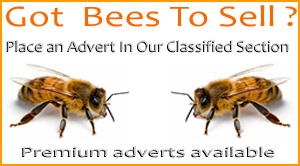 A prime swarm may consist of thirty thousand bees and will have a laying queen at least one year old. Smaller swarms, which leave the parent colony after the prime swarm, are called casts and contain virgin queens. Swarms may be available without payment but there is always some risk in taking in a stray swarm. If a prime swarm is available from known bees, this is a good way to start. The bees are ready to begin wax making and if put on to frames of foundation they will soon draw out combs. In a good season an early swarm might give a little surplus honey the first year but it cannot be expected. A Nucleus is a small colony of bees on three, four or five frames with a young laying queen, brood and stores. This is a good starting point because a beginner will more easily learn to spot the queen and to examine frames in a small colony, which will develop as his experience does. It will build up to a full-sized stock by the winter, ready to store surplus honey the next season. Whoever supplies your bees may, if he be local, help you install them in your hive; if not, an experienced beekeeper may lend a hand. The beginner’s first experience of handling bees alone should not be the transfer of a nucleus or the hiving of a swarm. When a colony of honeybees is making preparations to swarm they start to send out scout bees to find a suitable new home. To start with, several different possibilities will be under consideration. This process starts before the swarm leaves the hive and continues while the swarm is hanging as a cluster close to the home hive. Once a consensus is reached as to the most suitable site, and this may take a few days, the swarm takes to the air and flies to the cavity that will become the new home of the swarm. Experimenters have investigated what constitutes the most suitable cavity. The cavity should be weatherproof, have a volume between 30 and 40 litres, have a small entrance about 10 sq cm in area, have an entrance facing south and the entrance should be near the bottom of the cavity. It is not a coincidence that a brood box and crown board on a hive floor can be ideal, except that the entrance should be small. Situation is very important. By preference the bait hive should be 3m or more above ground level, so that being placed on a flat roof can be ideal. Swarms will not readily go to bait hives within the apiary from which they emerged. Their instinct is to remove themselves several hundred metres (500m on average) from their home apiary. That does not mean that you will not catch a swarm in a bait hive in an apiary – it’s just that it is not likely to be your own. The ideal cavity is further enhanced if it contains wax comb. Foundation is OK but used comb is better. Swarm lure creams may further increase the chances of catching a swarm. By having a brood box full of frames and comb this will make it so much easier to manage a swarm if one is caught.